I picked up The Body Shop Warming Mineral Face Mask last month at the Spa Of The World event and I've used it a handful of times since. It's a really strange product as it quite literally warms up as soon as it hits your skin, it's not unpleasant but i didn't expect it to have quite the reaction it did, however as soon as it's warmed up it cools down so doesn't become unconformable. I think because it warms up it really does feel like it's bringing out those pores and giving you a deep clean. I put this on 5 mins before a shower and then rinse off. Really love this product! 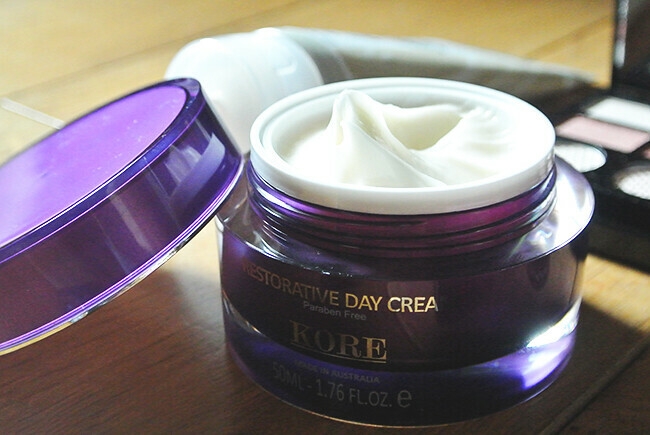 Another skincare product I've really been liking is this Kore Restorative Day Cream.This has replaced my primer as i find it gives a nice base for foundation and it's full of vitamin E which i love and leaves my skin looking really healthy and hydrated. This product aims to reduce the signs of aging and the appearance of lines, although I haven't had any experience of that yet as it's only been a month, i'll continue to use it and let you know. They're Real has been my favourite mascara for a while and I keep going back to it. I had been using Roller Lash which is fab by the way, but i had a brand new one of this sitting in a drawer so when i ran out, i bought 'They're Real' back out. I'll probably end up getting Roller Lash next time, it's a close call between the two, they're both really good mascaras. When it comes to cream blushers, i have a bit of a love hate relationship with them. I've tried my fair share of them and some are fantastic and some, not so much. 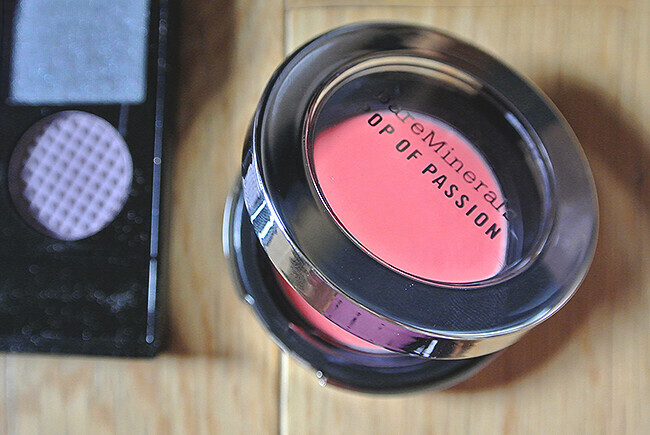 Bare Minerals Pop of Passion Blush Balm in Papaya however, is amazing, It is a very light and natural product and as you can imagine, gives you just a 'pop' of colour. It's easy to build and works wonderfully as a base for powder blushes too. This is by far my favourite ever cream blush! Dry shampoo is a must have, am i right ladies? I can't live without mine on those early mornings when washing your hair just isn't going to happen. So i'm always happy to try new ones and you can never have too many as far as i'm concerned. I really like Macadamia products, i use their oils religiously so I had high hopes for the Style Extended Dry Shampoo and luckily, it lived up to my expectations. This spray is infused with mineral rich volcanic ash to absorb odour and product build up, while keeping hair refreshed and full of body. A little goes a long way too! 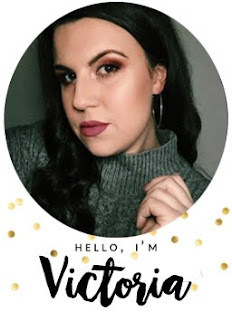 I decided to bring out my Make Up Revolution Girl Panic palette in to my make up routine as I've not used it for a while, you can read a full review here. I'm also still seriously loving Primark £1 nails, again you can read more about them here too. Still loving Kylie Jenner's lips and still loving Mac Brave, the holy grail of lip products. Although I think Velvet Teddy might be my fave between the two! 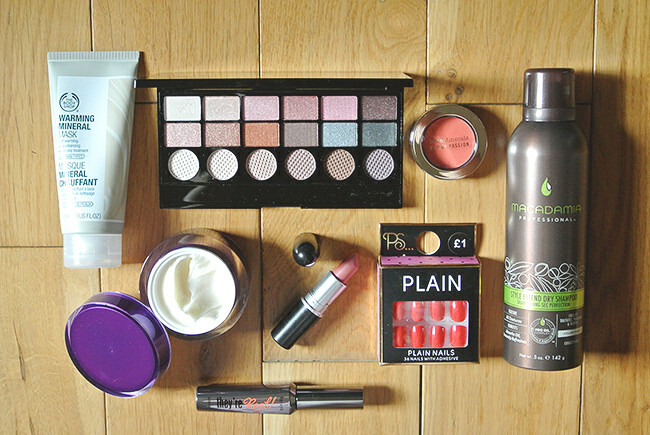 What products did you love last month? 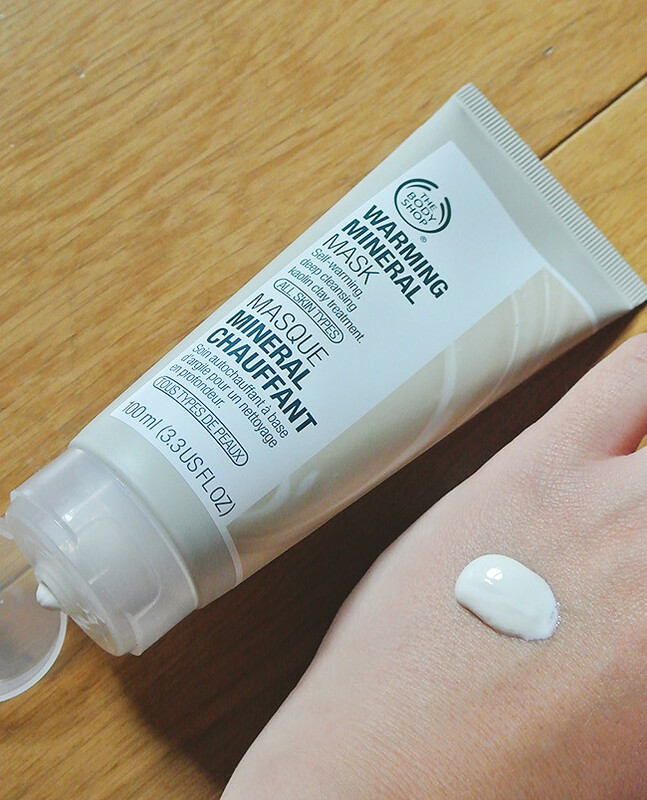 The warning mineral mask is one of my favourite masks! I love the fact that it actually does heat up! 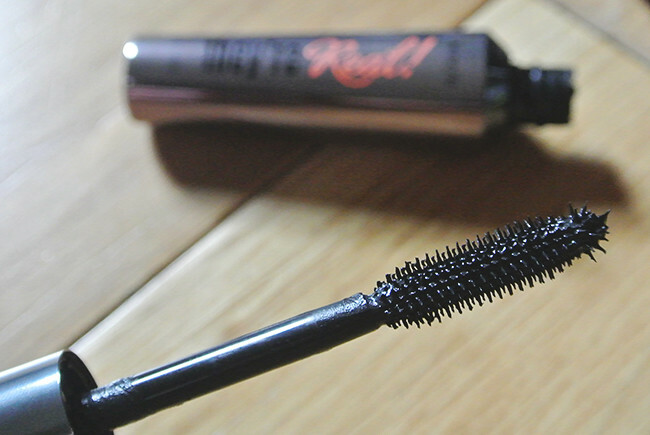 The They're Real is one of the best mascaras ever I think - but as you say, the Roller Lash's good too. So hard to choose between the two! The Bare Minerals blusher is really pretty too. I felt the same when I tried the warning mask! The dry shampoo sounds like an amazing product must to try. I will surely give it a try and for the facial lines and wrinkle botox Exeter is the perfect option which I had last month.